Yes, I am a marketer. 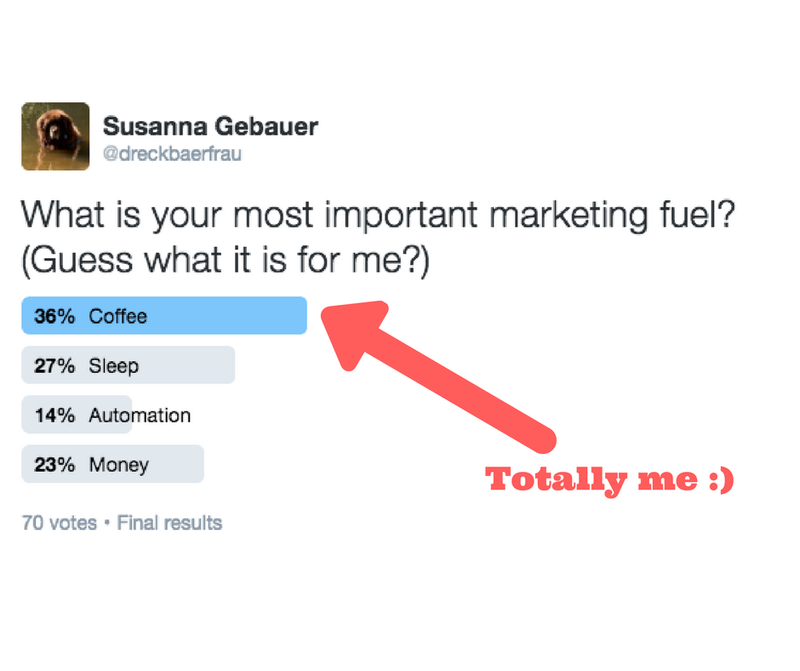 And yes, Twitter is one of my main marketing channels. We do get a large part of our traffic from Twitter. But I love Twitter for totally different reasons. I love Twitter because I have some use cases where Twitter simply is the best channel. And when I turn to Twitter, most of the time it is not marketing related at all. Because there is so much that Twitter can do for you, and most of it is totally unrelated to the number of your followers or the influence of your account. I share content – or rather links to content on Twitter. And in return, I discover a lot of information on Twitter. I have Twitter lists that I follow – some I created myself and some I just follow. And I follow these lists in a feed on Tweetdeck. By the way, Tweetdeck is for free and it is awesome if you simply want to follow different feeds for lists, keywords or conversations in one place. Twitter lists let me get a quick overview of topics people from my niche are talking and tweeting about. I get ideas for new articles for our blog and even find tips I will try out myself. If Twitter lists don’t give me enough content, ideas, information, and topics, I simply use the search on Twitter either by keyword or hashtag and see what is happening on Twitter related to this keyword or keyphrase. You can not expect a large number of people to answer your questions or polls, but you often get a first idea of what the general opinion may be. One problem with polls and questions on Twitter is, that since tweets without images tend to get less attention on Twitter they often pass by a little under the radar. If you want more attention for your question, you should consider creating an image with the question on the image. If something is happening in the world, Twitter is usually a lot faster than any of the online news sites. Plus you get unfiltered news often from people who are right where things are going on. I find Twitter is almost the best source for information on world events you can get. That can be events, catastrophes or sadly even terrorist attacks. If I want to find out what is going on, Twitter is one of the first places I look for information. This can be a ton of fun, for instance when watching the Twitter feed for the hashtag #BRAGER while Germany’s soccer team is demolishing Brazil in the Soccer world championships 2014 or during Nike’s recent attempt at beating the 2 hours for a marathon. This can also be shocking if I want to know what is going on in New York when I hear rumors about a car running into people at Times Square and the first thing I find on Twitter is an image of a dead body. It can also be heartwarming when people are using Twitter to help others out offering a place to stay and food for stranded people, as it happened during the terrorist attacks in Paris in 2015. What is the first place I turn to when one of the tools we use is not working properly? I take a look at Twitter. There are two things that I check: I visit the Twitter account of the tool provider and check if they already acknowledged the problem and provide information when things will be running again. I can also directly ask them for help with my problem. The second option is checking what people tweet about the tool. If a ton of people is pissed off on Twitter that is not a good sign. Twitter is a good indicator how a service provider treats customers. Also, before I decide on signing up for a tool, I often check what people have to say about it on Twitter. Often I can either find a lot of complaints – or a lot of praise. That certainly helps with making a decision. You want to talk to people from your target group? Twitter is the place where you can talk to absolute strangers – even influencers. Twitter conversations are open for everyone. There are always conversations happening. We have landed guest posting opportunities via Twitter, we found influencers to conduct interviews, we found a ton of new participants for out former publishing platform. There is a lot you can achieve by connecting to people on Twitter. If you don’t want to start the conversation on your own you can simply watch your notifications tab, if you have some followers on Twitter you are likely getting some comments, retweets and likes. Use them to engage with your audience. And if that is not what you are looking for, you can join a Twitter chat. Check out my recent article on how to find Twitter conversations. Twitter is neither all about news nor all about marketing. 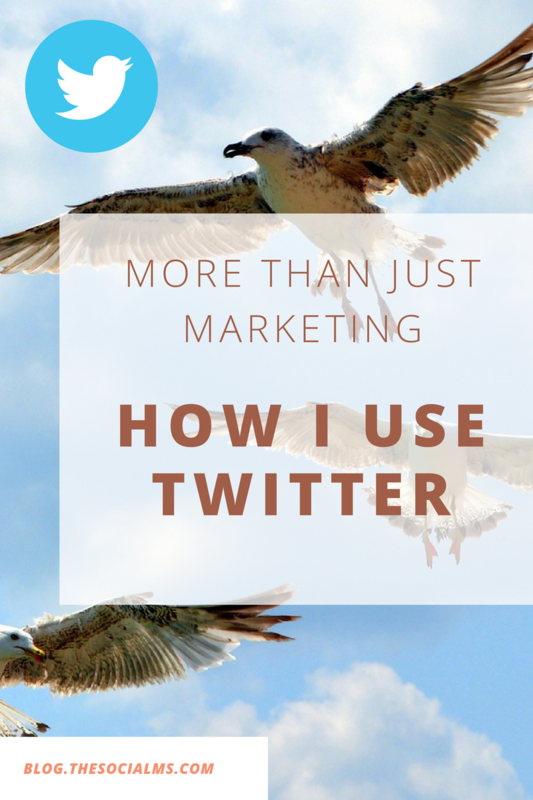 Twitter has diverse use cases and you can find your own best practices that suit you best.